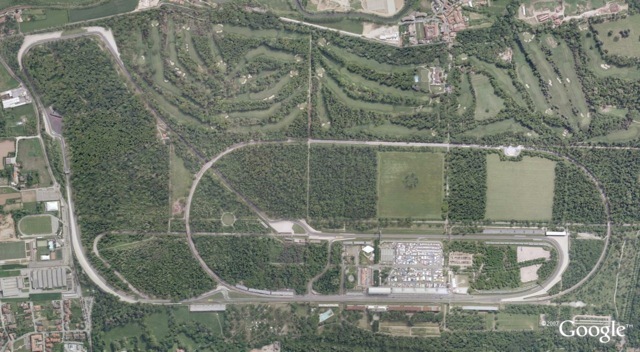 Nestled in a large park in Northern Italy, Autodromo Nazionale Di Monza holds much tradition in Formula One and year after year the Italian Grand Prix proves to be one of the more popular events on the championship calendar. Monza is also one of the sport’s and indeed Europe’s oldest venues, having been built in 1922. The autodrome featured on the championship’s inaugural season in 1950 and has only once relinquished its race, the 1980 Italian Grand Prix being held at the Autodromo Enzo e Dino Ferrari in nearby Imola. The autodrome has seen many changes over the decades, notable updates being made on grounds of safety. The old oval banking is still visible and the newer Grand Prix circuit cuts underneath the old on the returning back-straight. The circuit’s most famous corner on the modern layout is the final Parabolica, the fast 180° turn that brings the cars back onto the main start/finish straight. Monza is a low-downforce track where drivers often find themselves bouncing off the rev-limiter in top gear. Autodromo Nazionale Di Monza recently received an extension to its contract to host the Italian Grand Prix through to the end of 2016, fending off advances from the country’s capital Rome to host a street race. 2013-09-03: Page updated to new design.